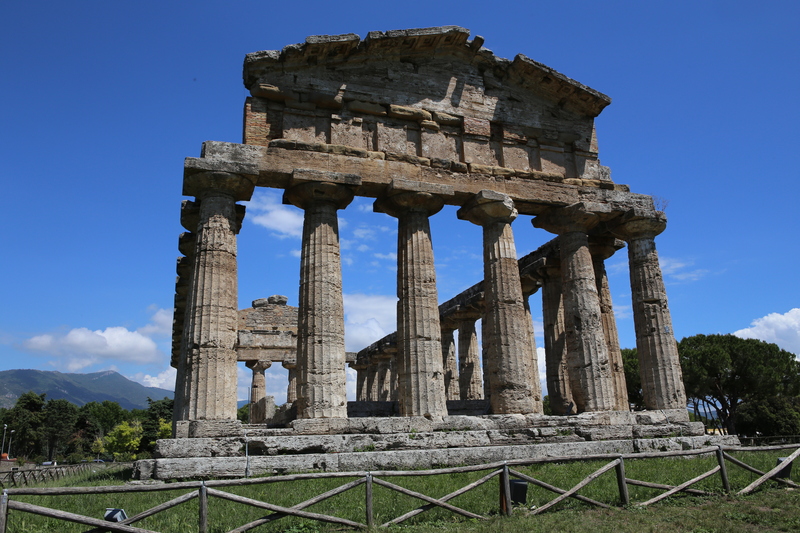 Paestum is a perfectly preserved ancient Greek ruin in Italy from 600 BC. It was preserved because of a malaria outbreak here in the 18th century. 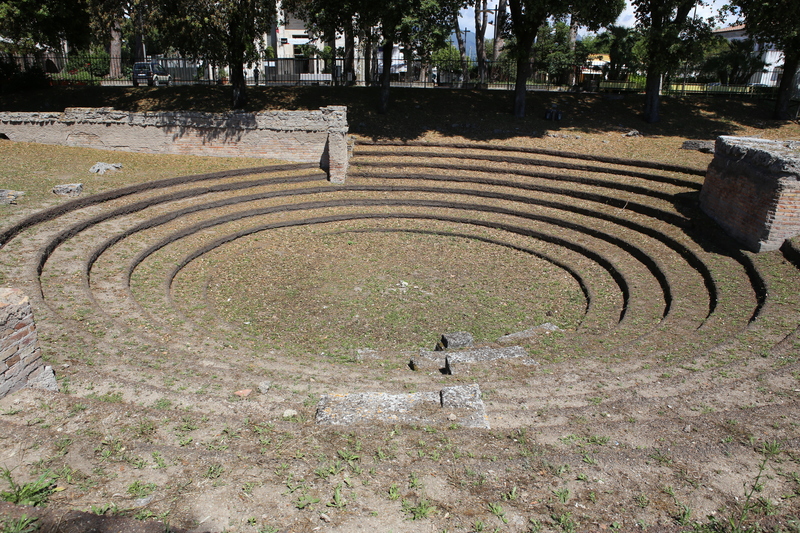 We have written about this ruin before but it is such an important site, we wanted to write about it again. After coming down the mountain from scary town of Castelcivita, we needed lunch and some wine. 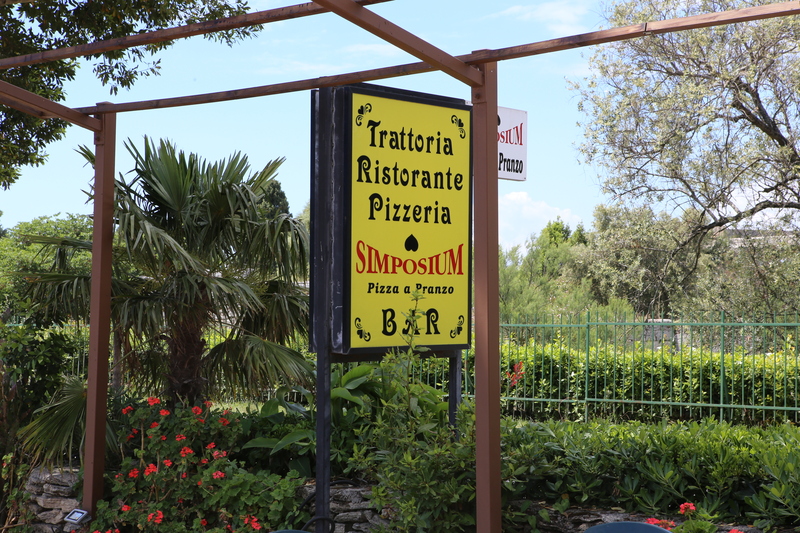 We headed to Paestum and found a great restaurant just off the ruins property. This trattoria was perfect. 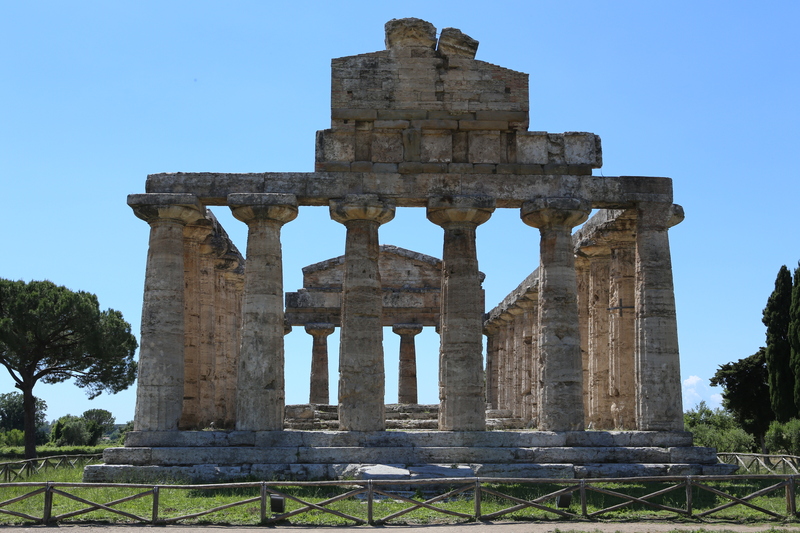 We sat outside and could see one of the temples at Paestum. Lunch and the wine were perfect. We had parked inexpensively in a lot across from the trattoria. Refreshed we walked up the street to enter Paestum. You have to buy your entrance tickets at the museum across the street from the ruins and then enter through gates to the ruins. The street here is a bit touristy with a lot of trinket stands. 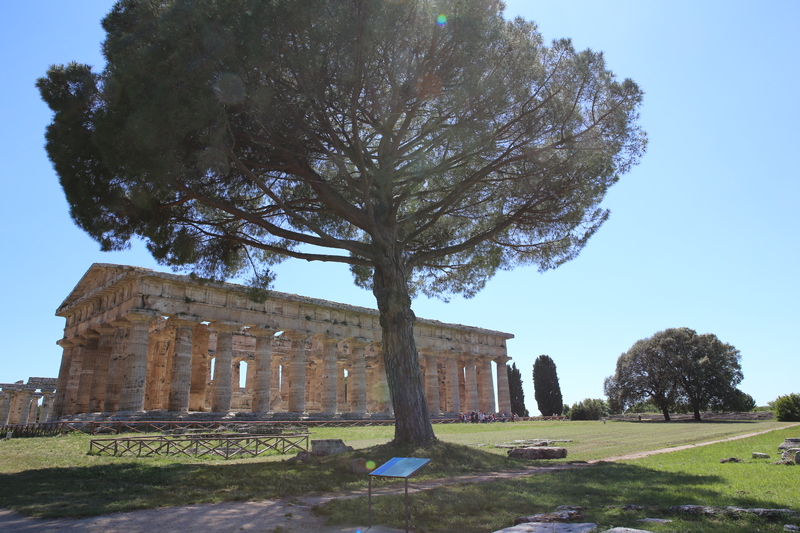 After entering Paestum, we walked the paths through the ruins and saw three great temples and the remains of a coliseum. 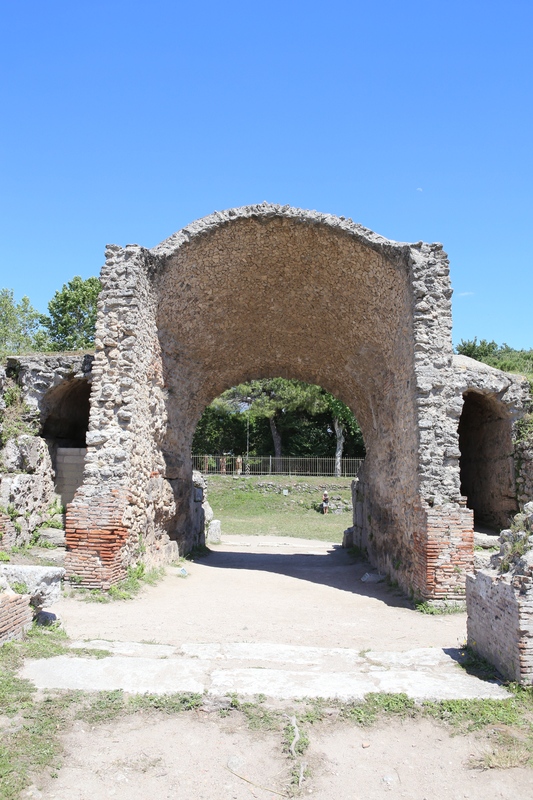 Paestum is located about halfway between The A3 Autostrada at Battipaglia and Agropoli. It is just inland from the sea. The sea here is a gulf and to the south you can see Agropoli and to the north Salerno and the Amalfi Coast. On a clear day you can see the island of Capri. This is a do not miss stop if you are in the Amalfi Coast area. Tomorrow we visit the beach city of Ascea. It is summer and ones thoughts go to the beaches. This area of Italy has the best beaches around. 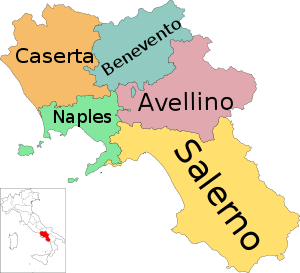 How do you get around Italy? Airplane – Airfares my be expensive within Europe but fast. Try trains as an alternative. Trains – Trains are easy throughout Europe. There are very fast trains to go between major cities or countries and local ones to go just about anywhere. Remember that your ticket MUST be stamped at a machine before entering the train. Car Services – Comfortable cars are available to hire for local trips or within a country. We took a car service from Rome’s airport to Naples to catch the ferry to Capri. They can be expensive but are very comfortable and fast. Buses – Local and intercity buses is an option. 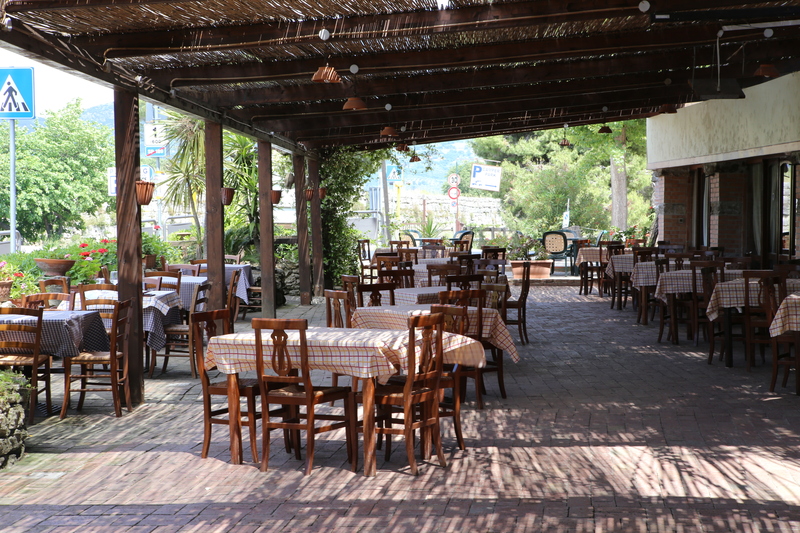 They are inexpensive but can be very crowded in popular tourist places like the Amalfi Coast. You can buy tickets (biglietti) ant any tobacco shop (they also sell papers, candy and lottery tickets). As on trains remember to get your ticket stamped as you enter the bus. Taxis – As in America, taxis are an easy way to get around a city especially when you don’t know where you are going. Subways (Metro) – Metros are easy to use and inexpensive. Tickets are sold at machines and ticket windows. Use your ticket to go through turnstile. Exiting you use your ticket again. If there is not enough fare on it for this stop, it won’t let you out. 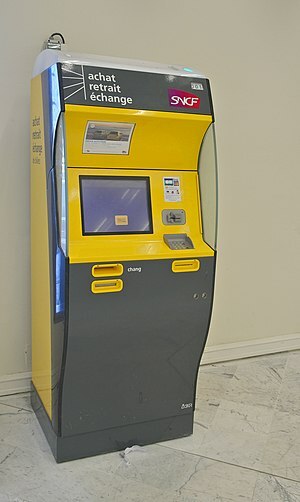 There are ticket machines nearby to add fare. Smart phone apps are available for metros in all major European cities. These apps allow you to put in where you want to go (like the Louvre in Paris). It knows where you are (GPS). It will first show you nearest metro stations and then which trains to get on. If you have a switch it will tell you to take a train in direction of, so many stops to a station and then switch to another train and go so many stops to a station. Enjoy your trip abroad and travel around. We prefer to walk when possible to see the locals and all the sites in route. However you travel enjoy your adventure.